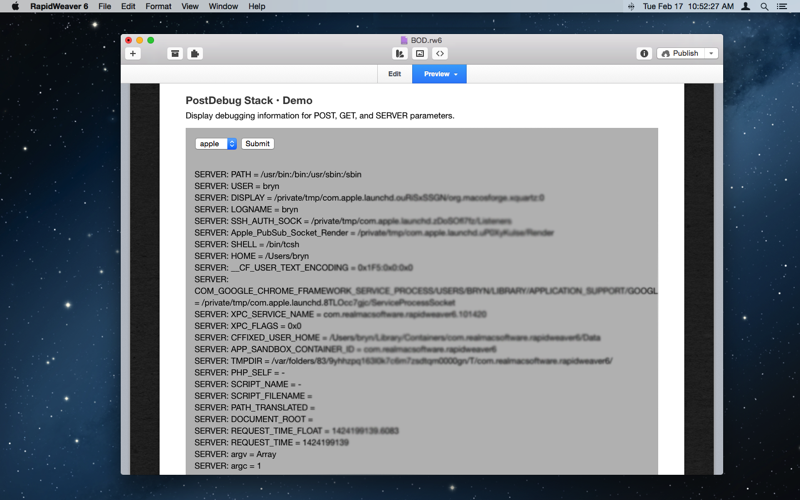 Display debugging information for PHP superglobals POST, GET, SERVER, COOKIE, and GLOBALS. 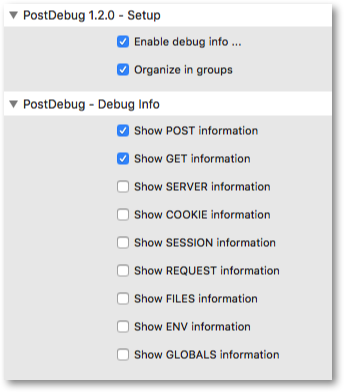 The PostDebug Stack is used strictly for debugging: add this Stack to your page and enable debugging to see information passed to the page from forms, parameters, and so on. PHP is used to dump any or all super globals from _GET, _POST, _SERVER, _COOKIE, and GLOBALS. Enable debug info ... Enable the debug info. Turn this on and publish for test purposes then disable and re-publish when everything is working. Organize in groups Organize information in groups using unordered lists. 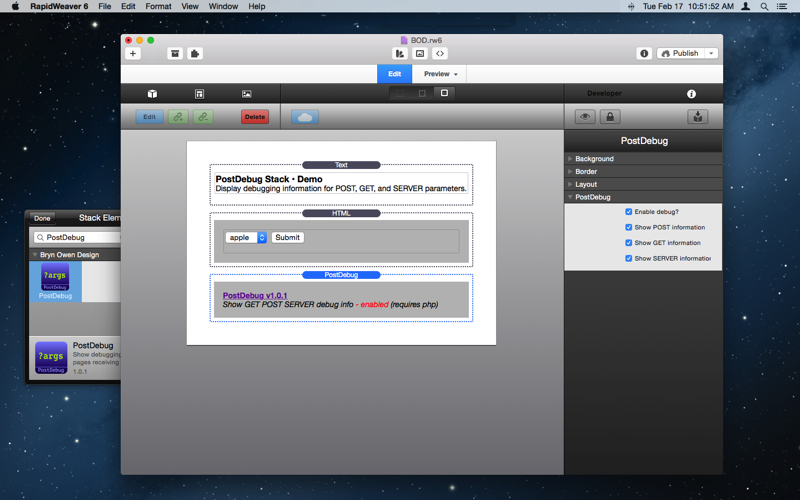 Show POST information Include $_POST information (parameters from form submissions). 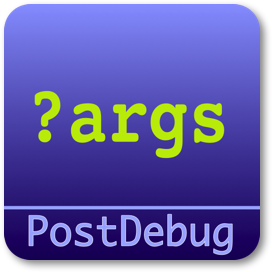 Enable this to debug parameters passed to this page by a form. Use PostSwitch to handle them. Show GET information Include $_GET information (url parameters). Enable this to debug parameters passed in the URL such as index.php?a=1. Use PostSwitch to handle them. Show SERVER information Include $_SERVER information (internal environment settings). Default for this is disabled. It produces a lot of output and is not usually needed. Show COOKIE information Include $_COOKIE information. Default for this is disabled. Show SESSION information Include $_SESSION (deprecated) information. Default for this is disabled. Show REQUEST information Include $_REQUEST information. Default for this is disabled. Contains GET, POST, and COOKIE info so it is generally more selective to use the other options above. Show FILES information Include $_FILES (deprecated) information. Default for this is disabled. Show ENV information Include $_ENV (deprecated) information. Default for this is disabled. The same as SERVER information, so better to use the option above. Show GLOBALS information Include $GLOBALS information. Default for this is disabled. List all global variables.